Authors and writers are amongst the most coveted group that are revered and admired for their wise words on Twitter. 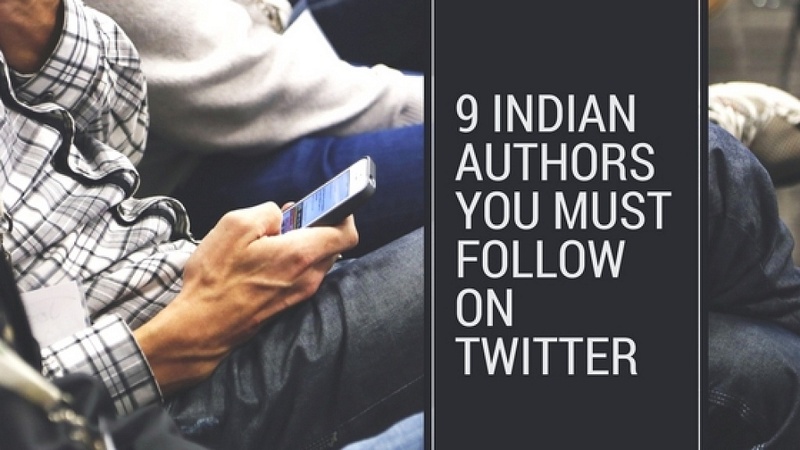 So, here I have 9 of the most sought-after Indian authors that you must follow for your dose of Twittered wisdom. 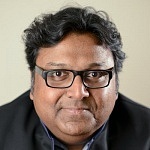 Ashwin Sanghi is a renowned author who is named as the New York Times bestselling writer! Sanghi mostly pens his work in the thriller genre. Some of his bestselling books include – The Rozabal Line, Chanakya’s Chant and The Krishna Key. He is a thoughtful twitterati who is known to express his words with perceptiveness. The author shares interesting quotes, articles, and updates that are insightful for the readers. 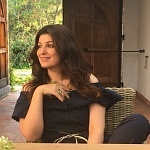 Twinkle Khanna’s Twitter handle rightly depicts what we can expect from her. She is bold, beautiful and fearless when it comes to expressing her mind. Her first book Mrs Funnybones became an instant hit and her second book The Legend Of Lakshmi Prasad which is a collection of short stories also turned into a bestseller. 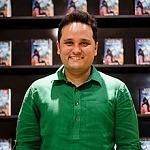 Amish Tripathi is an extremely vibrant and positive personality, both online and offline. The author has been termed as the literary superhero! He is amongst the top best-selling authors in the country. His books including the Immortals of Meluha, Secret of the Nagas, Oath of the Vayuputras, Ram-Scion of Ikshvaku, Sita-Warrior Of Mithila, Immortal India. All his books are super hit amongst the youth. Amish travels across India and now even abroad for his book tours and events. 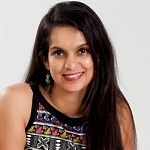 Anuja Chauhan is an advertiser turned author. 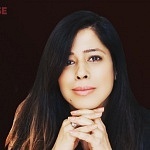 She has rendered her valuable 17 years to the advertising world in JWT India. 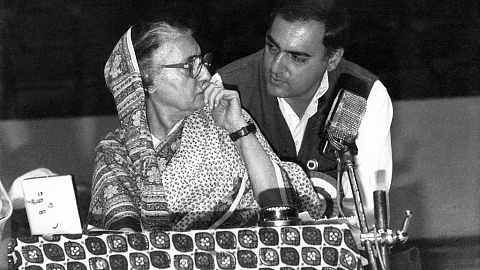 She is well-known for her best-selling novels – The Zoya Factor, Battle for Bittora, Those Pricey Thakur Girls, The House That BJ Built. Her latest novel Baaz has been out and is doing well. Her Twitter feed is pleasant that says a lot about feminism and women power! 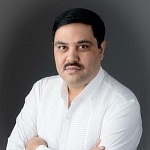 Ravi Subramanian is an ace banker and an award-winning author. His most popular works include trilogy The Incredible Banker, The Bankster and Bankerupt. His thriller genre book In The Name Of God also gained a lot of popularity and topped book charts. Subramaniam wrote a children’s book which is his latest outing named My First Book Of Money which is a personal finance guide for kids. Author Preeti Shenoy is a celebrated persona who has nine best-selling titles to her credit. On social media too, she never fails to charm her audience and readers. The author has been featured on the Forbes list of 100 most influential celebrities in India several times consistently and she has been honored with awards like the Indian of the Year among others. She is one of the most selling and popular women authors in India. 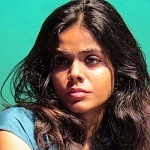 Meena Kandasamy is an incredible poet, writer, activist and a translator. She writes more in the genre of feminism caste annihilation, and linguistic identity. Her published work includes two collections of poetry and her novel Gypsy Goddess which is widely popular. Her book When I Hit You also became a bestseller and won many awards. Her tweets are outspoken and a hit amongst her followers. Priya Kumar is a bundle of positivity on social media! The best-selling author who is also a world-renowned motivational speaker share inspiring and insightful words on Twitter that would turn a bad day around! The lady has written Ten books in the inspiration genre and has won several international book awards, her eleventh book is on the way! Her first book I Am Another You has touched lakhs of lives and inspired them positively. 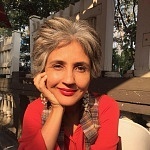 Another striking author you must follow on Twitter is Aditi Mathur Kumar. 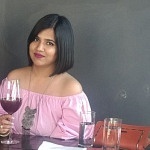 The witty author who is also a travel writer and a blogger shares some fun tweets that will keep you entertained. Her insightful articles and retweets are surely the perks. Her books ‘Soldier & Spice: An Army Wife’s Life‘ and ‘Love, Whatever That Means‘ are supremely popular. Note: This is not an exhaustive list. There are many incredible writers in India that are doing incredible work both on and off social media. Please free to add a few more names as you like in the comments section below! This author list has been put together by Meghna Pawar. She is a Professional Content Writer, Editor, and a Lifestyle Blogger. She is a personal growth junkie, currently working in Digital Media. She’s a true bibliophile and a stationery lover! Being a meditator and a yoga enthusiast, Meghna also volunteers and supports pro bono work in this field of interest.